Hey Canberra, you were awesome, but we hope we don't see you again – except at the ticker-tape parade. 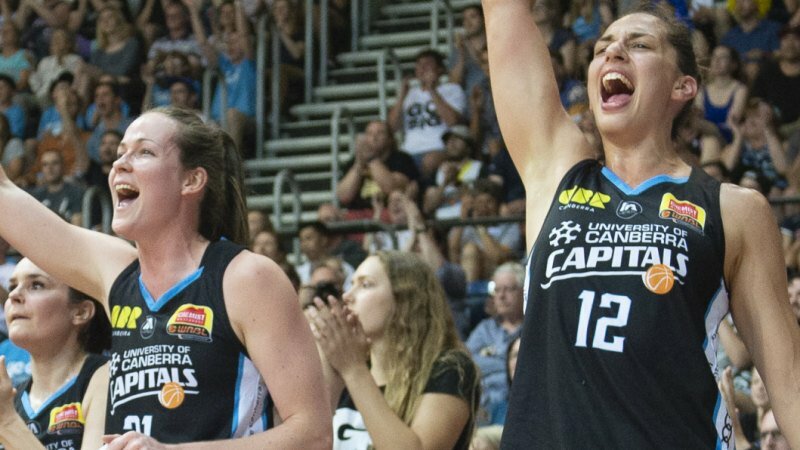 The Canberra Capitals have been feeling the love from their home city, but they flew to Adelaide looking to sweep the Lightning in the WNBL championship series on Wednesday night. Having flogged Adelaide in front of a packed AIS Arena on the weekend, they're just one win away from not only their 13th consecutive win but also winning their eighth title. It would also end a nine-year championship drought in the capital. They would dearly love to play in front of another full house, after they thrived before 4120 fans on Saturday night, but that would mean the Lightning have won on Wednesday and sent it to a decider. Much better to come home to a rousing reception at Canberra Airport. "Exactly, that's right, and hopefully a parade of some sort around the city will help with the celebrations and help tie it all up," Tolo said. "It's such a shame if we do win it in Adelaide to win on the road, but I know Canberra will be behind us and we'll have some sort of celebration regardless." One of the keys to victory will be their unheralded heroes – veteran guard Kelly Wilson. While the Capitals boast plenty of firepower, whether it's potential WNBL most-valuable-player Kelsey Griffin, Canadian young gun Kia Nurse or Leilani Mitchell, Wilson's flown under the radar, but has still been crucial for Canberra. Capitals coach Paul Goriss said Wilson had largely sacrificed herself for the good of the team, allowing their other offensive weapons to shine. But Griffin credited her with turning things around in the first quarter of game one when they were trailing. Wilson not only scored their first points in that game, but she also hit back-to-back three-pointers to snuff out any Adelaide hopes in the final quarter. "Kelly's huge. She's that unheralded hero in that she just wants to make sure that the team's ticking over, that she's making the right pass and the right assist and getting the right people the ball," Goriss said. 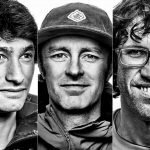 "But I think in amongst the huge talent that we do have and the experience that we have, Kelly's the one that goes behind everybody, but then will make a big shot. "It's been encouragement from me to get her to keep shooting the ball and taking those shots." Wilson said having so many offensive options made them hard to defend. This is her 17th WNBL season and game two of the championship series will be her 375th in the league. In that time she's won three WNBL titles and she's going for a personal back-to-back having played in Townsville's championship last year. Wilson leads the league in average assists with 6.46 per game and also averages 7.79 points herself. "I had a bit of a rough start to the season in terms of shooting. I would've liked to have been a lot more consistent," Wilson said. "But I guess when you've got such great scorers on our team and you look at Lei and Kia and the percentage they've been shooting at recently I'm bound to be left open a couple of times. "That's OK with me. I'm confident in taking shots. I practice a lot so I'm ready there to shoot it when I'm open." Wednesday: Canberra Capitals v Adelaide Lightning at Adelaide, 7pm. Live on Fox Sports.